On Saturday the Centre for Economics and Business Research published it’s report into economic contribution of arts and culture, and I’m very encouraged by the results. During my first months as Minister for Arts, Heritage and Tourism, I have visited a range of arts organisations across the country. I continue to be hugely impressed by our creative talent and the immense enthusiasm within the arts sector that bring exciting, bold and thought-provoking works to our local theatres and exhibition spaces. As a Government we can be proud of our record to support and develop this brilliant and innovative sector. In the 2015 Spending Review we announced that there would be no cash reductions to Arts Council funding until at least 2020. 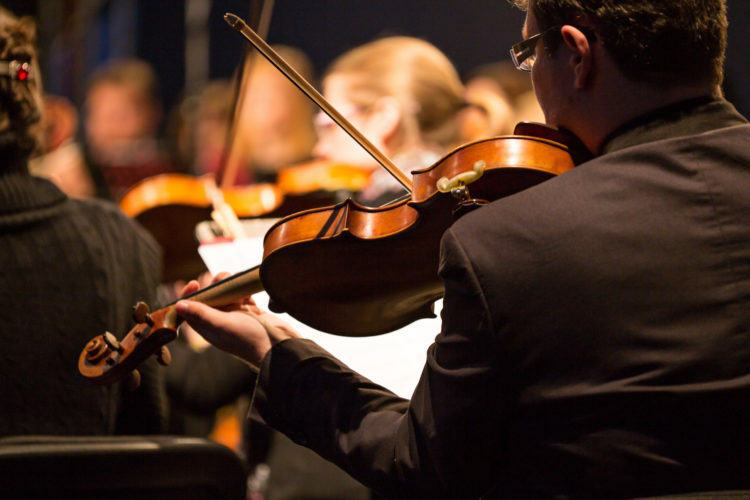 We have introduced tax reliefs for orchestras and are soon to do the same for exhibitions. Our Theatre Tax Relief saw £46 million being paid out in 2016/17 which supported over 1,570 productions. We provided important capital funding into ambitious projects across the country including the Factory in Manchester and the Shakespeare North project in Knowsley, Liverpool and launched the Great Place Scheme to support the promotion of arts within local communities. We have also commissioned research to look at the barriers that prevent people taking a career in the arts as we believe the arts should be accessible to everyone. This report demonstrates just why the arts are an integral part of our society. By supporting the arts, we are also supporting jobs, local economies, local businesses and our communities. For every £1 of GVA generated by the arts and culture sector, an additional £1.30 is generated for the wider economy with an aggregate impact of £24.5 billion pounds in 2015. The arts generated an incredible direct contribution to our GDP of £10.6 billion in 2015. UK arts and culture organisations employed an estimated 131,200 in the UK and for every job supported by arts and culture, an additional 1.77 jobs are supported in the wider economy. I have seen the benefits the arts bring to local communities first hand, visiting the Folkestone Triennial this past week, which supports local artists and celebrates the local community and landscape. We do not, quite rightly, support the arts just for their economic benefits alone. Arts and culture improves our lives and wellbeing, as well as strengthening our communities. The All Party Parliamentary Group on Arts, Health and Wellbeing’s recent Creative Health report demonstrates the great contribution that the arts can make to health and wellbeing, which I urge you to read. The arts can also address and support other difficult challenges, like social cohesion and criminal justice. The Koestler Trust, which I visited in September, is a prison arts charity whose work aims to help offenders lead more positive lives by motivating them to participate and achieve in the arts. Their annual exhibition of art by prisoners is currently at the Southbank Centre’s Royal Festival Hall. By ensuring that young people have a broad and balanced curriculum within schools and through the fantastic educational programmes run by many arts and culture organisations, we can also help develop children’s skills around self-confidence and team working. It is also important that all areas of the country can access our incredible arts and culture. Arts Council England has worked hard to support the arts across the country and their commitment to increase both National Portfolio and Lottery funding outside of London in 2018 is a hugely positive step forward for the arts. I believe this report shows the arts and culture sector continues to be a source of immense talent and expertise and reaffirms the important role they play in shaping our society. This sector deserves our continued support and I will work hard to be their strong advocate.